We all experience it – a constant, steady flow of emails flooding our inboxes daily from work-related emails, to bill payment reminders to sales and offers from our favorite retailers. It’s inescapable and something we’ve all just come to live with by deleting whatever we can and only opening what’s vital. So when it comes to sending out an email newsletter on behalf of your business, you might think to yourself that it’s a waste of time and resources or it won’t get the attention you’d like. But in fact, there are many benefits to sending out an email newsletter that can help your business grow! 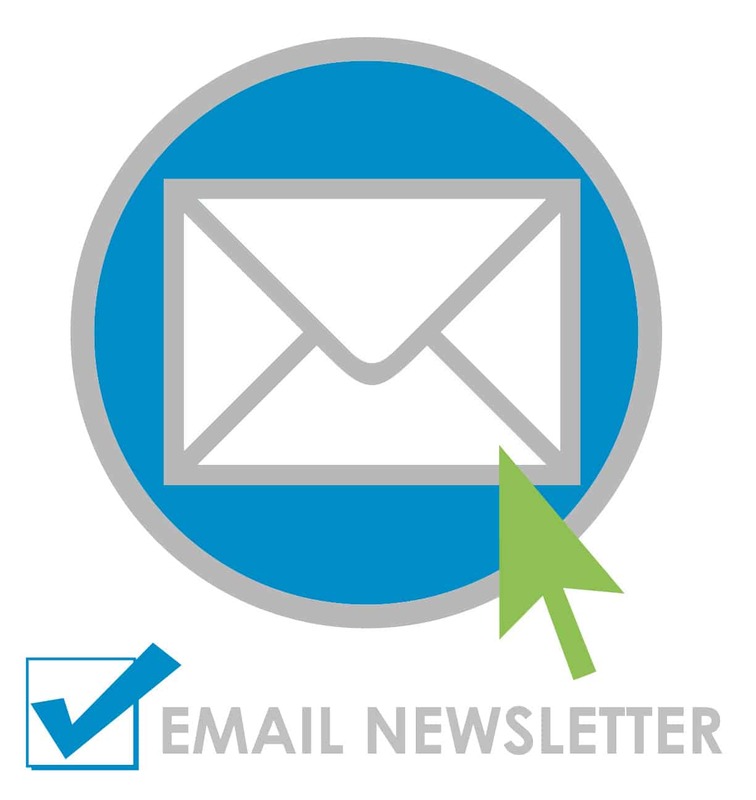 In relation to other marketing tactics, email newsletters are easy to produce and send. Think about the time and resources it would take to plan an event, print a brochure or create an advertisement for your business. You could produce an email newsletter in less than a day with an email marketing platform, exciting content and some basic design. Not only are email newsletters on the easier side but they are also cheaper than direct mail. With an email marketing platform, it can cost cents per email to send out a newsletter versus what you might need to pay for a direct mail piece including postage costs, labels and design work. A good email newsletter will allow its recipients to opt out of receiving your email communications. This might seem like a bad thing but it actually acts as a little bit of savings to you by not sending an email to someone who is not interested in receiving your content. The email might also give the recipient a chance to update their email address if it has changed. These methods keep your email database up to date and ensure your sending your newsletters to the right people. Your email newsletter will most definitely include links back to your website whether it’s to a blog post, press release, upcoming event or informative page. Including these links helps drive recipients back to your website, which in turn helps improve your search engine presence. Search engine optimization, or SEO, involves making your website visible on Google and the other search engines so that potential buyers can find you when they’re looking for a product or service you offer. When your search engine presence increases, so does the potential for new business. One of the most vital aspects to your business is your Brand, which is what people say and think about your business. Sending an email newsletter allows you to have some control over this. It can act as gentle way of showing the good things your business is doing and what you can offer people. Whether your email newsletter is promoting a special sale or highlighting an important aspect of your business, it’s an easy way to put a spotlight on what your business can provide. In addition to your Brand, your relationships are another vital aspect to your business. Have you ever received an email from a business and thought, ‘it’s been awhile, I forgot about them’? Or an email that reminded you of something you needed to get done? An email newsletter is a quick way to keep your business on the minds of your various business relationships. Your email could remind an important prospect to follow up with you. A client could recommend your business by forwarding your email to a friend. An email newsletter increases your exposure and might just lead to that next big sale! Do you need help sending out your email newsletters? Did you know GoingClear Interactive provides this service? Call us at (617) 649-7200, fill out our Request More Info form or email us to see how GoingClear Interactive can help you! Most businesses don’t take advantage of how much they can actually maximize their online growth. Good news! We can help with Web Strategy, Web Design, Web Development, and Marketing!